Check out local landscapers favorite Missouri Natives. Prairie Dropseed. Katy Molaskey, Green Guys. Black Tupelo. Daniel Mee, Frisella Nursery. Flowering Dogwood. Jim Graeler, Chesterfield Valley Nursery. Blue Fortune Agastache. Christine Knoernschild, Passiglia's Nursery. Goat's Beard. Ann Lapides, Sugar Creek Gardens. Lobellia cardinalis. M.A. Ward, SummerWinds Nursery. In Missouri, a native plant is a specie that exsisted prior to European settlement more than 200 years ago. Over time, native species in Missouri have adapted to our climate and soil conditions. Choosing native plants in your landscape allows the plant to coexist in nature rather than compete against it. Check out local landscapers favorite Missouri Natives. 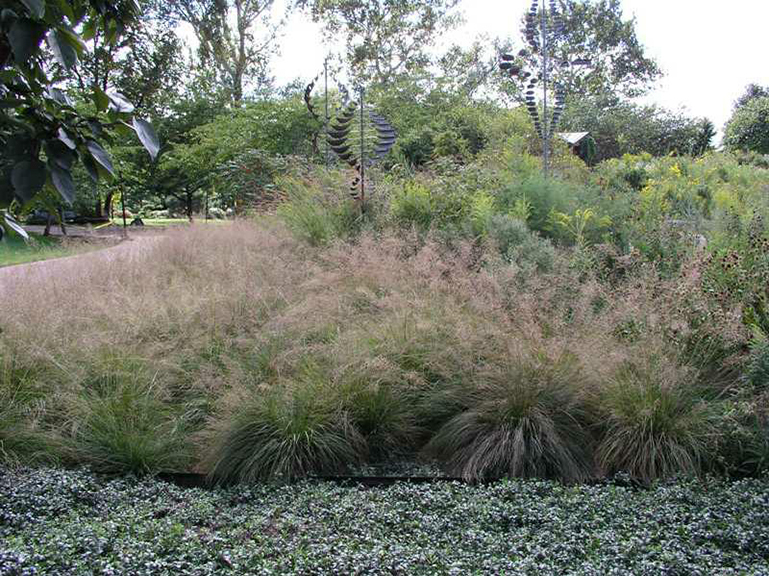 “Prairie Dropseed is a very versatile native grass. It can be used singularly as an accent plant in a small garden or in large swaths to replace all or portions of a traditional lawn. The fine texture and annual show of small, fragrant pink flowers provide great character to any landscape." Katy Molaskey, Green Guys. “One of our favorite Missouri natives is Nyssa Sylvatica, better known as Blackgum or Black Tupelo. This is a beautiful, stately shade tree that can mature to 50’ tall by 30’ wide and provides an excellent source of food for bees in late spring. It tolerates our heat and will take many soil types. 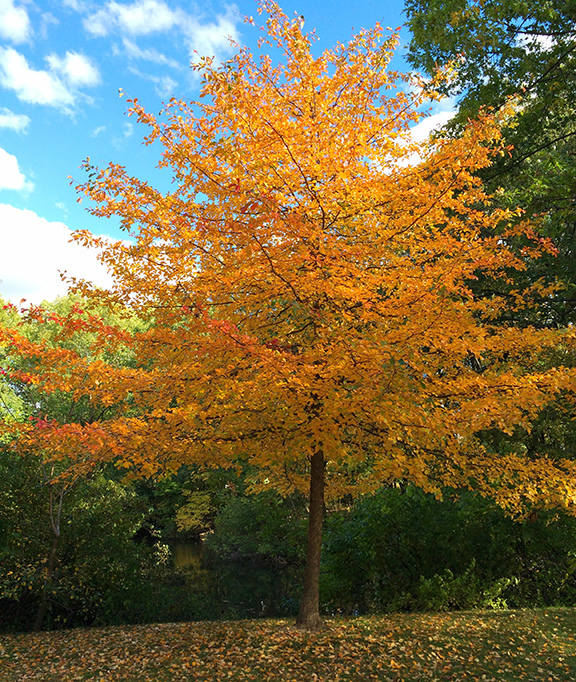 This resilient, long-lived tree is also one of the best natives for fall color displaying various hues of yellow, orange, red and purple.” Daniel Mee, Frisella Nursery. 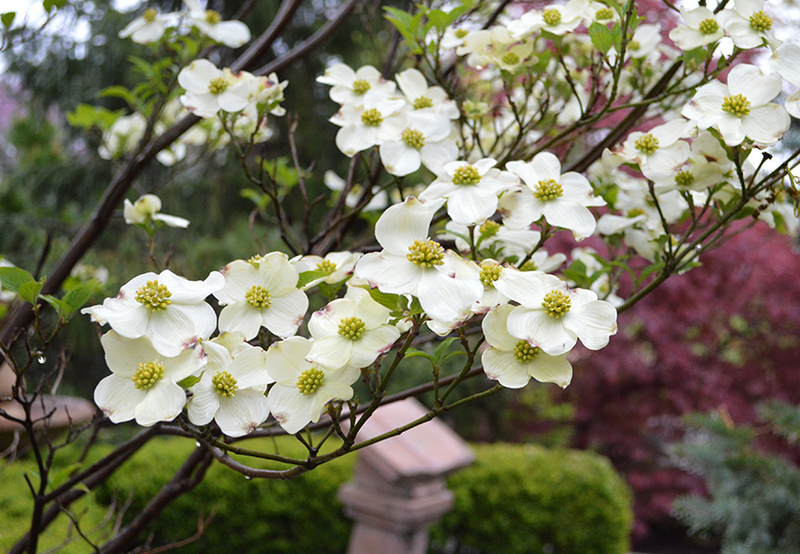 “A Missouri native and the official state tree, the Cornus Florida (Flowering Dogwood) offers a plethora of perks when it comes to landscaping. Because of their open branching and ever-changing motif, they are a visual showpiece in your landscape year round. Winter buds give way to beautiful blossoms and greenery in the spring. The leaves turn shades of crimson through fall.” Jim Graeler, Chesterfield Valley Nursery. 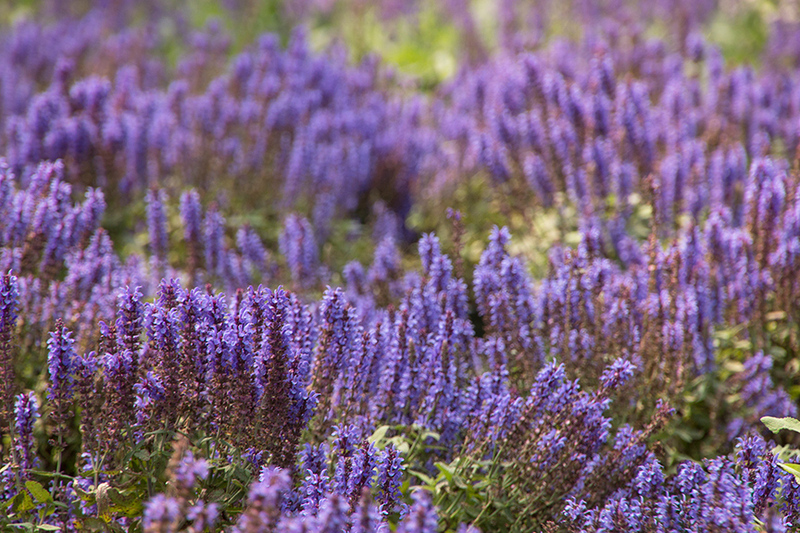 “Blue Fortune Agastache is one of my favorite native perennials. Abundant periwinkle-blue flower clusters dance along the top of happy green leaves. This graceful perennial offers showy, easy color through the summer. Plant in full sun.” Christine Knoernschild, Passiglia’s Nursery. 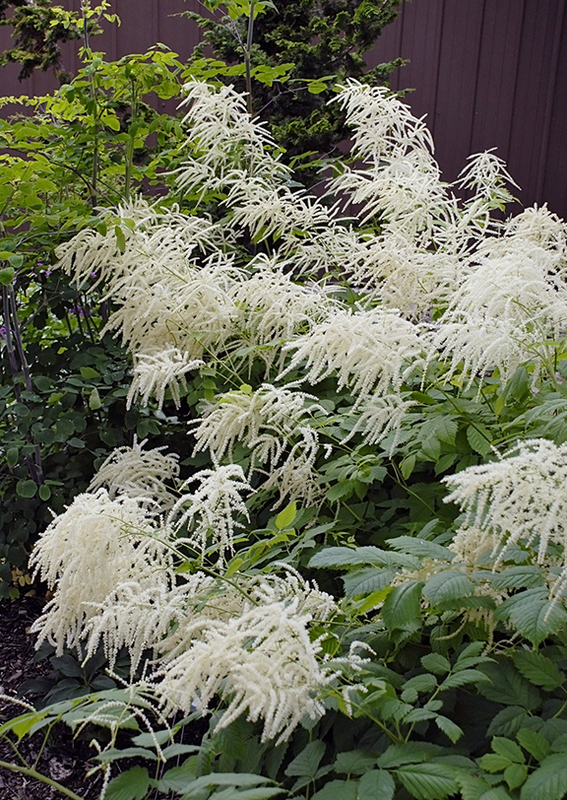 “A cherished Missouri native with large, 12" long white, feathery blossoms, the Goat’s Beard (Aruncus dioicus) is a ferny foliage that looks great all season. It is a valuable specimen plant for the back of the shade border. The enormous plumbes of creamy-white blossoms attract butterflies and other beneficial insects in vast numbers. Goat’s Beard is a long-lived perennial.” Ann Lapides, Sugar Creek Gardens. “Lobellia cardinalis has beautiful foliage, brilliant red trumpet flowers and blooms later in the season. 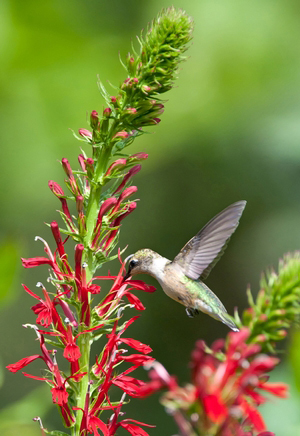 The native wildflower draws in hummingbirds and butterflies with its nectar. It enjoys morning sun and afternoon shade. Keep it wet in the summer and dry in the winter. If cut back and given organic compost, it will re-bloom and you will be rewarded with lots of hummingbirds and fluttering butterflies.” M.A. Ward, SummerWinds Nursery.